We all go thru a stage where we are in love with a certain colour. 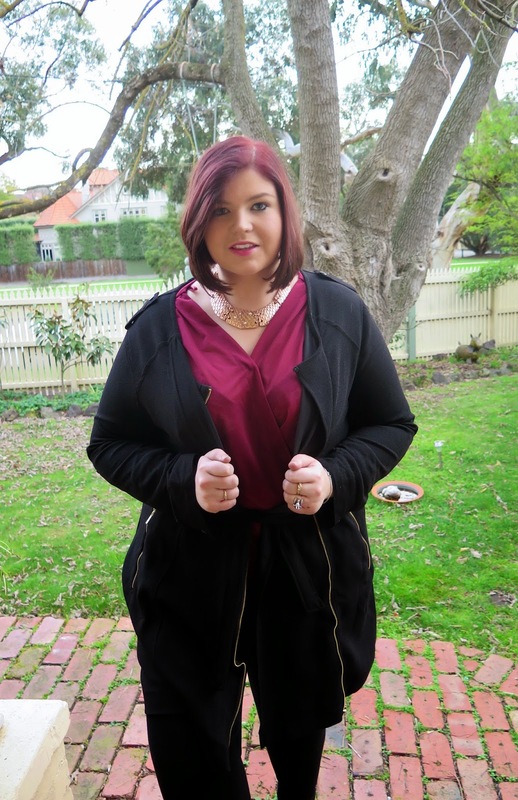 At the moment im obsessing over Burgundy, its such a warm and rich colour for winter. 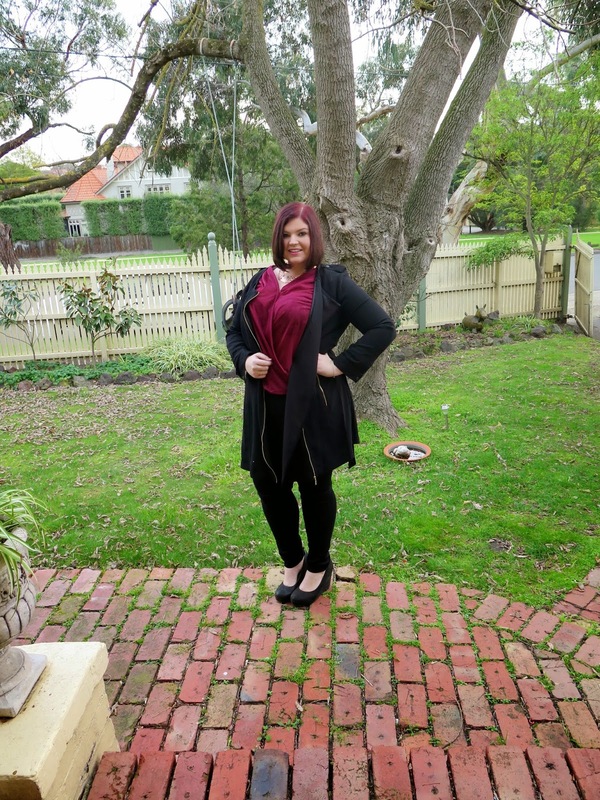 I have seen so many pieces around in Burgundy colour and i have just fallen in love with them! 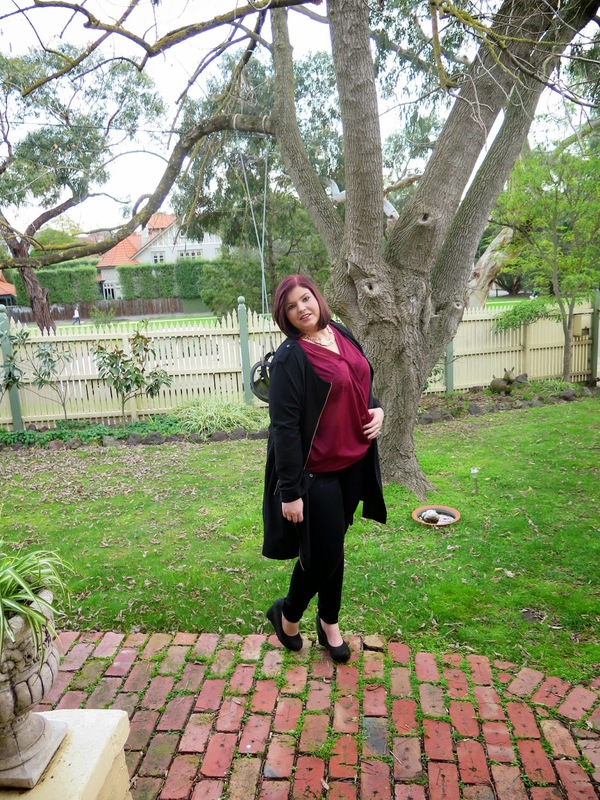 Ive found that its easy to dress up for a night out or dress down just for a casual work day. In all the amazing mid year sales at the moment i saw this lovely crossover burgundy top from Suzanne Grae, they have many many amazing everyday pieces from size 8-18. 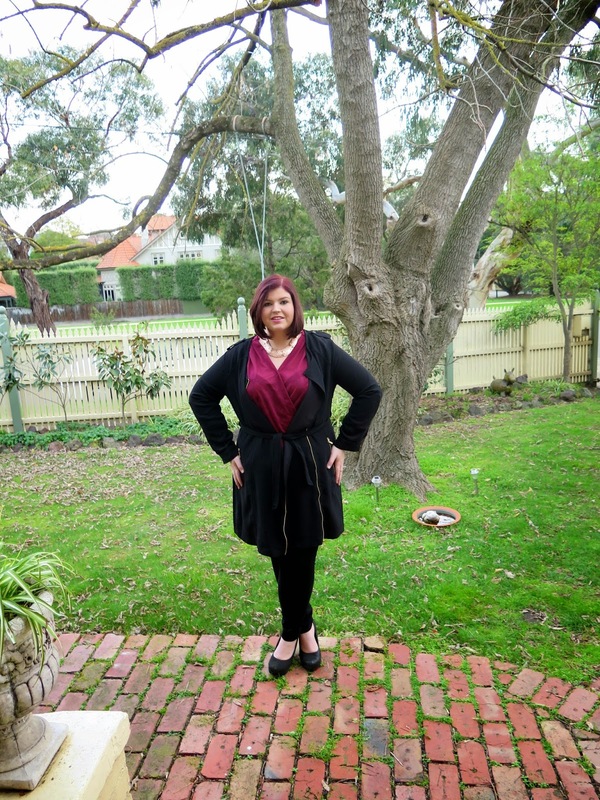 Also I am also so excited at the amazing Chrissie Swan's Plus Size clothing line for Avella at Big W sizes 18-28 , i rushed in on the day that it came out and managed to find a few things that i adored, one of them being this long black biker jacket with gold zips. Its a perfect shape and i love the detailing on it. If you have not been in to see her range, its a must! Many Great things and i cant wait to see what more is to come. I would love to know what colour your adoring right now?